With the sad news of Telltale’s closure, it’s good to know that engaging narrative-driven games are still represented well in the industry. Dontnod’s newest project, the sequel to its 2015 critically acclaimed Life is Strange, evokes some of the best facets of the story-based genre. With its washed-out artistic design and indie-rock soundtrack, the game toes the line between cringy teen dialog and dramatic life-changing events. 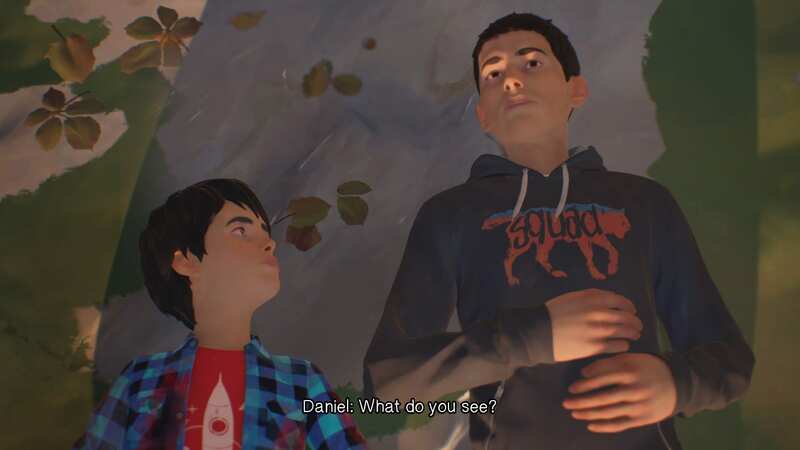 Life is Strange 2 delivers on the expected quality its prequel has set up, and this first episode takes us on a politically charged journey that already has me enticed and waiting for more. This will be a mostly spoiler-free review because a majority of this game’s appeal comes from the dramatic tension and satisfying story beats. But if you’re trying to go in blind, just know this: If you enjoyed the stories of Max and Chloe—or even Chloe’s own prequel—you’ll enjoy what Life is Strange 2 has to offer. Did I mention the beautiful Washington landscape you can find in this game? 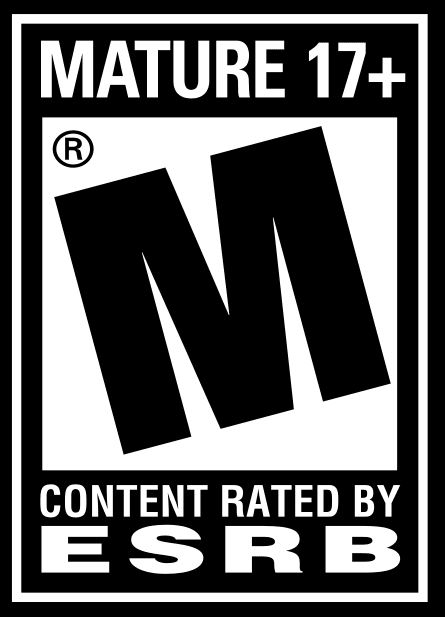 While the first game chronicled Max’s traumatic time-traveling trek to save her best friend’s life, the sequel takes a different approach by thrusting the player in the role of caretaker. 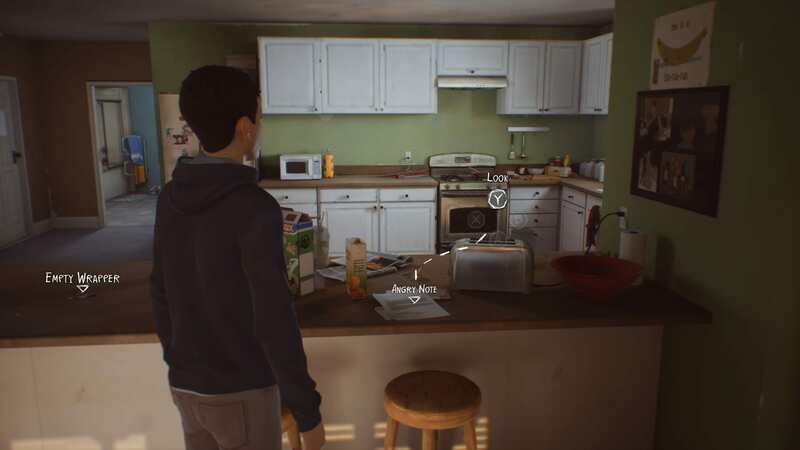 Sean Diaz, the protagonist of Life is Strange 2, is your average high school student in Seattle. He lives with his little brother, Daniel, and his single father, Esteban. He spends a lot of time with his best friend Lyla (and although their friendship is completely platonic, I ship them wholeheartedly). The game’s first episode, “Roads,” starts on Sean and Daniel’s last days as normal kids, when a sudden shocking event involving the police threatens their lives. A majority of the episode is aptly spent on the road, with Sean having to take care of his 9-year-old brother. It’s a story that’s very different from the first game, but the consequences of your final actions in Life is Strange affect Sean’s journey. The game starts by asking you what decision you made at the end of the first one, so I wouldn’t recommend starting this game if you haven’t seen the end of Max’s story. If I didn’t know any better, I’d think this was a spiritual successor to Brothers: A Tale of Two Sons. What’s impressive about this first episode is how true to life these characters—and, by extension, this universe—feels. These characters know about Minecraft and The Last of Us, and the Diaz family watches The Lord of the Rings every Christmas. I was surprised that the game didn’t include a Fortnite reference until I remembered that it was set in 2016. Characters talk to each other using lingo that I’ve actually heard, such as “don’t be thirsty.” Sean is a teenage track star who also smokes weed and illegally downloads movies. 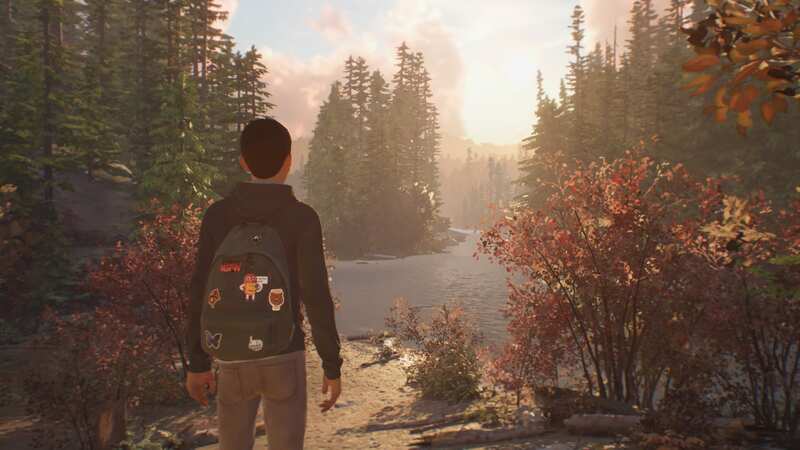 Despite all the supernatural elements the franchise is known for (and honestly, it’s pretty minimal in this episode), Life is Strange 2 feels like a fairly grounded representation of the world we live in. The gameplay will be familiar to you if you’ve played a Telltale game or the previous Life is Strange titles. And that earnest reproduction of reality helps the game tremendously when it portrays real-world political issues. 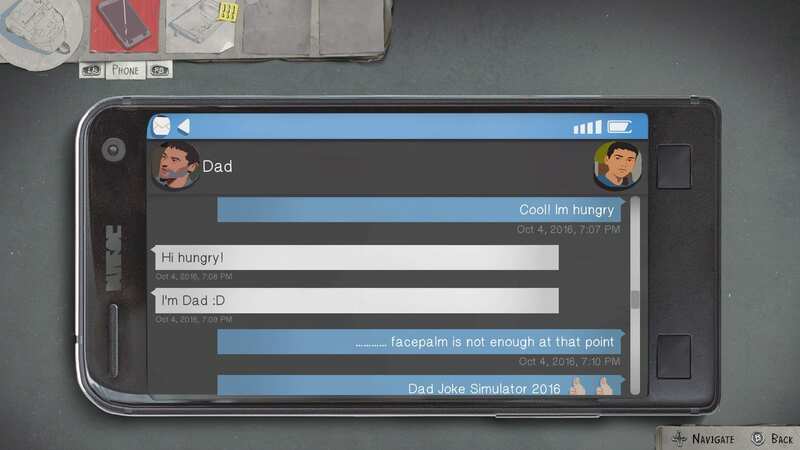 For example, the game is set in October 2016, a month before the last presidential election in America. There’s a text conversation between Sean and Lyla that implies both are dissatisfied with how a certain event on national TV transpired, and Lyla is worried that “he” might actually win. The legalization of marijuana is framed especially well during a conversation between father and son (keep in mind, weed was already legal in Washington two years before the game takes place). The protagonist’s family hails from the proud country of Mexico, a fact that’s used as a stage to tackle immigration issues multiple times throughout the game. There’s a scene in the second half of the episode that is a powerful depiction of how minorities are treated by unmistakably bigoted white Americans, which is something you don’t see in video games every day. Even excessive police brutality gets a nod in this game, considering an unfortunate altercation with the police is the catalyst for a majority of the story. More often than not, video games fall flat when they tackle heavy issues, but Life is Strange 2 handles them surprisingly well. These politically charged situations don’t feel out of place, and they fit into the narrative fairly seamlessly. Above all, the game doesn’t feel preachy about it or get on a soapbox. Instead, it presents situations that involve the issue for just long enough to make you think about it without overpowering the rest of the scene. Politics aside, the nature in this game is a clear cut above the rest. The music in Life is Strange 2 is fantastic. The tracks composed by Jonathan Morali, who worked on the previous game, perfectly fit the vibe of the second game, as expected. The licensed tracks for this episode were also choice selections. The game opens up with Lisztomania by Phoenix, creating a stress-free backdrop to breezily complement the freedom of being in high school. When you’re exploring Sean’s room, you can turn on some music, at which point On the Flip of a Coin by The Streets will start playing. What impressed me about this scene is that Sean actually sings along to the lyrics while you explore his room. After examining an item and hearing an inner monologue, he’ll jump right back into the song. It’s a small but impressive touch that helps bring Sean to life as a believable human being. Voice acting is a very important part of narrative-driven games like these. The story is only as believable as its characters, and luckily the acting behind these characters is mostly well done. At first, I wasn’t impressed by Sean’s VA, with some lines feeling half-hearted or misdelivered. He finds his groove part-way through the story, especially when things change and the role of caretaker is thrust upon him. I’m glad he found a better voice, considering how crucial he is to the game. Other characters are performed extremely well, particularly Daniel and Lyla. These characters are also immediately likable and multidimensional. Just a few messages before this, Esteban wanted to seriously talk to Sean about his weed stash. Not only are these characters performed well, they also look great. With the update to Unreal Engine 4, the game noticeably looks better than the original. 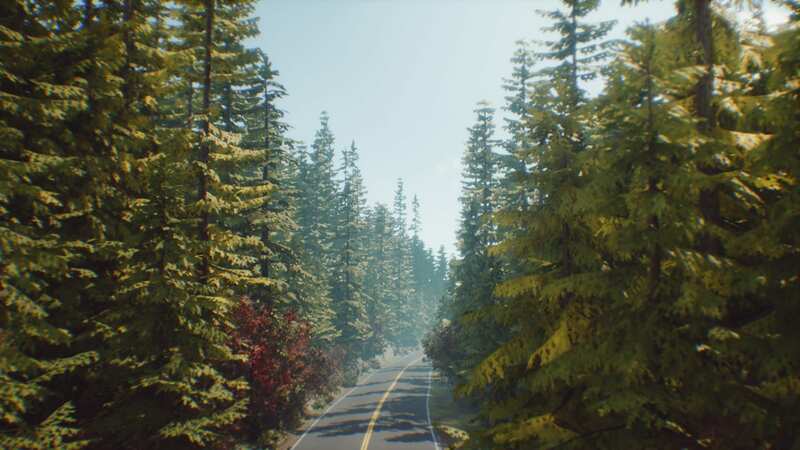 The Awesome Adventures of Captain Spirit, the free direct prequel to Life is Strange 2, gave us a glimpse of the new engine in action, but seeing it run in this full game is gorgeous. The Washington countryside is rendered beautifully, all while still retaining that washed-out, watercolor-esque style that the franchise is known for. The face animations of the characters are less stilted than in previous games. Every smile and eye roll is brought to life, supporting my immersion into this narrative that much more. Life is Strange 2, Episode 1 was reviewed on a Windows 10 PC with a digital retail copy purchased through Steam, which currently costs $8. The bundle featuring the first episode and the yet-to-be-released remaining four episodes costs $40.